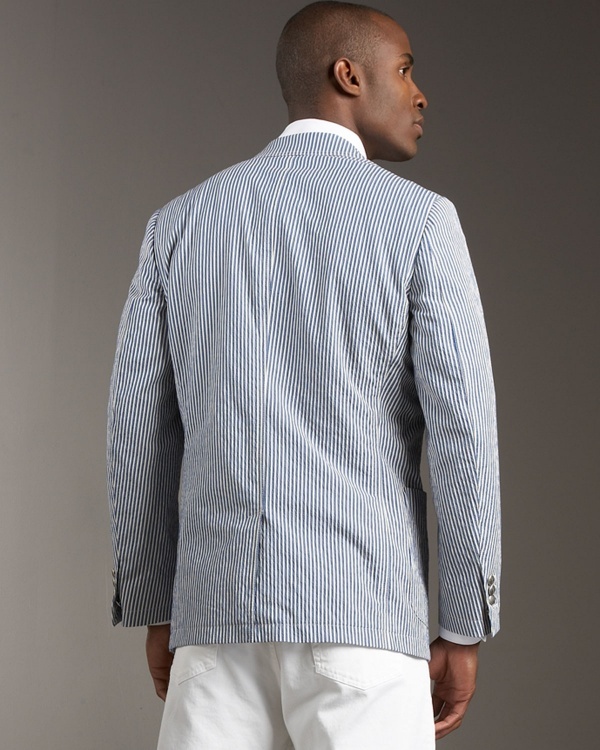 Ermenegildo Zegna takes some cues from the Americans in crafting this seersucker blazer. 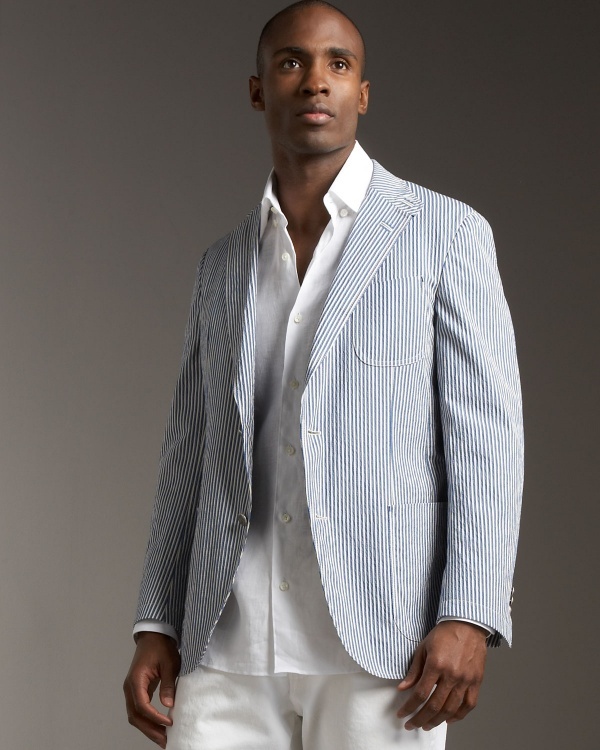 A cotton classic, seersucker has long been prized for its ability to keep gentlemen cool in the blazing summer sun. 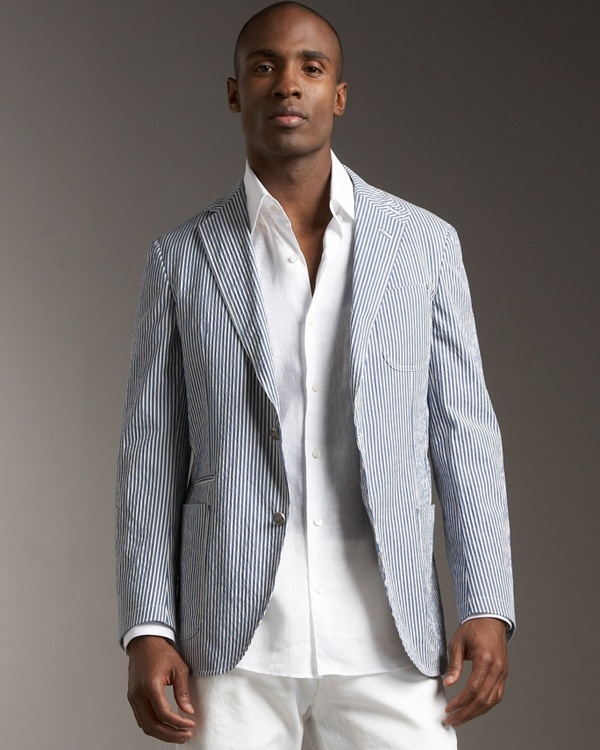 Now, this two button, notched lapel blazer from Zegna, with patch pockets, offers the same to you. Available online now. This entry was posted in Blazers, Tops and tagged Ermenegildo Zegna. Bookmark the permalink.